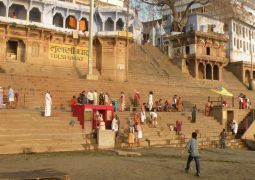 “Tulsi Ghat” is one of the ghats in Varanasi. 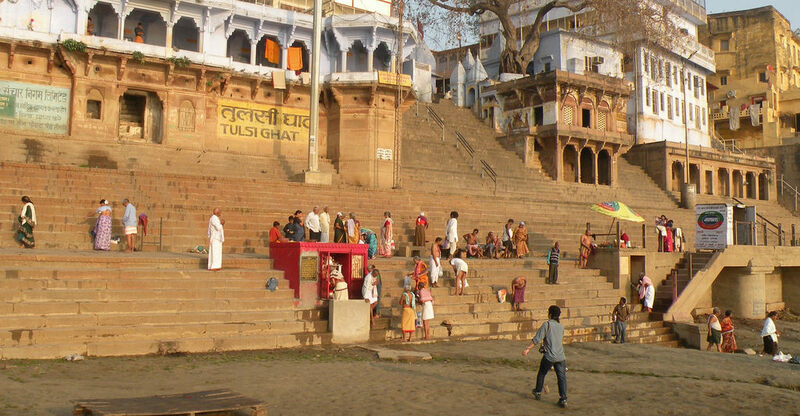 It is named for Tulsidas who lived there while he wrote the Ramcharitmanas. Earlier, “Tulsi Ghat” was known as Lolark Ghat. It was in the year 1941 that “Tulsi Ghat” was made pucca (cemented) by the famous industrialist, Baldeo Das Birla. 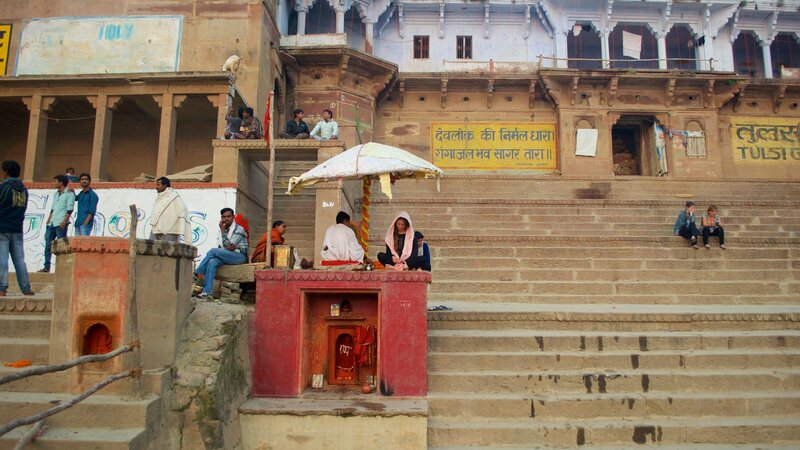 Tulsi Ghat is the office base of Sankat Mochan Foundation, a nongovernmental organization working to clean the river Ganga since 1982. 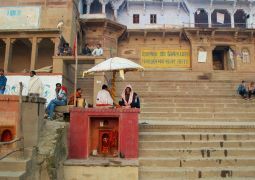 Sankat Mochan Foundation is one of the biggest names associated with the Ganges cleaning project. Prof. Veer Bhadra Mishra, an environmentalist and social activist who is also the manager of Sankat Mochan Foundation, lives at Tulsi Ghat. Prof. Mishra was awarded the United Nations Environment Program's the Global 500 Roll of Honour in 1992.